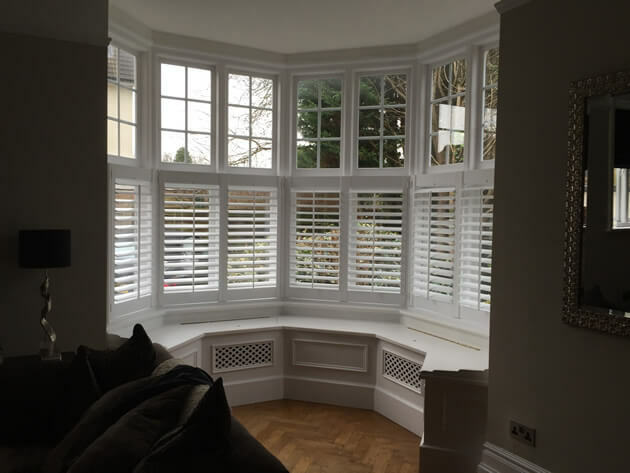 Shaun & Ben were in Thames Ditton, London to fit these Bay Window Shutters for a client. 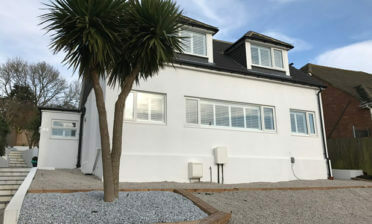 A solution was needed to add an extra level of privacy and security to the room while still allowing for ultimate light flow through the top of the windows. By using Cafe Style shutters we are able to provide clients with the best of both worlds, as the shutters only cover the bottom half of the window. Some customers opt to combine this with curtains that can pull across the whole area if needed. The shutters are from our Cuba Range which is both rigid and light weight solution. 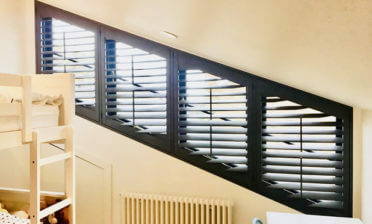 We used a 3 sided frame with 76mm louvres in each shutter, complete with central aligned tilt rods for ease of adjustment. They were finished in Pure White with matching white hinges which looks great with the existing decor in the room.